Some of these images are showing up misaligned or cut off in the Four Books on Llull edition. Here are the freestanding images. Recently stopped by Gordon White’s Rune Soup podcast to talk about Giordano Bruno. Visit Rune Soup, download from iTunes or listen to it here. 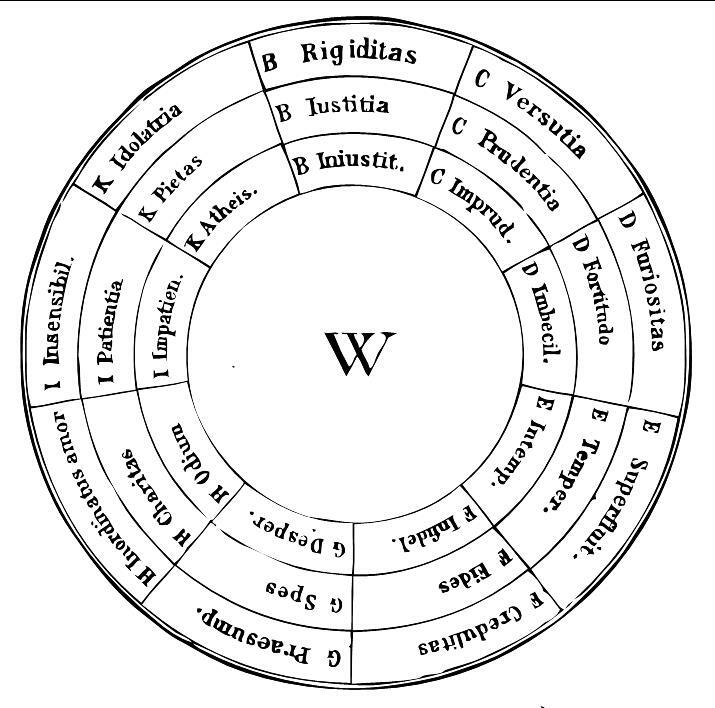 Bruno wrote De Umbris in such a way as to give the reader a large selection of potential structures to use for a memory palace. Instead of a real, physical structure, one is encouraged to imagine structures and places. One could also use a poem or a book (Ovid’s Metamorphoses, as Bruno does), inserting things to be remembered in every scene. All of the lists of images in the book are designed to be used both as places (subjecta) and as memorable images (adjecta). The Zodiac, the constellations in the night sky (actual or fabricated), the decans associated with the Zodiac, or a diagram associated with a person, the parts of the body, or any other well-known system can be used. The prefatory dialogue uses a number of the principles of making memorable images: we are more likely to remember an argument or what others have said, we’re more likely to remember caricatures (the other, disparaged memory experts), and we’re even meant to remember the advice tfor remmebering things the other experts give us in the dialogue. 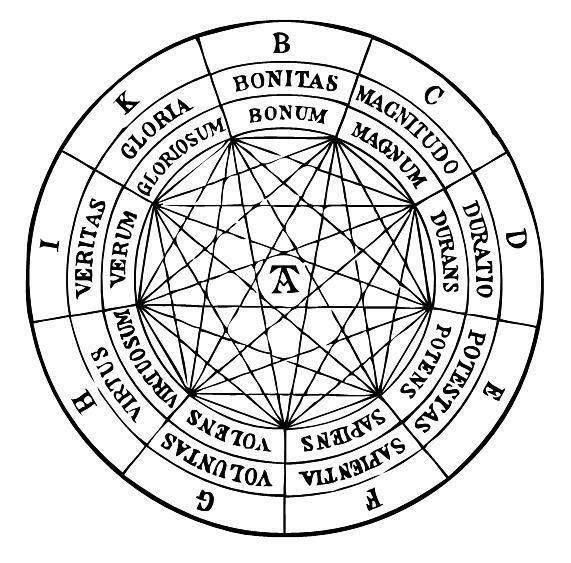 Marsilio Ficino, in his Da Vita Libri Tres, gives examples of Egypitan magic. In one, taken from the Asclepius of Plato, the Egyptians supposedly called down celestial spirits into their statues that would then speak to their priests. Roger Bacon supposedly had a bronze head that could speak to him, either magically or through some kind of mechanical device. Bruno implies that this idea can be applied more effectively inwardly. So, the memory artist is able to call up the image of Plato, who can speak the philosopher’s writings out loud to the person doing the imagining. In contemporary times, Hilary Mantel describes using this technique , as told to her by another author, to write The Giant, O’Brien based on conversations with the giant, who she visualized sitting in a chair in the room with her. 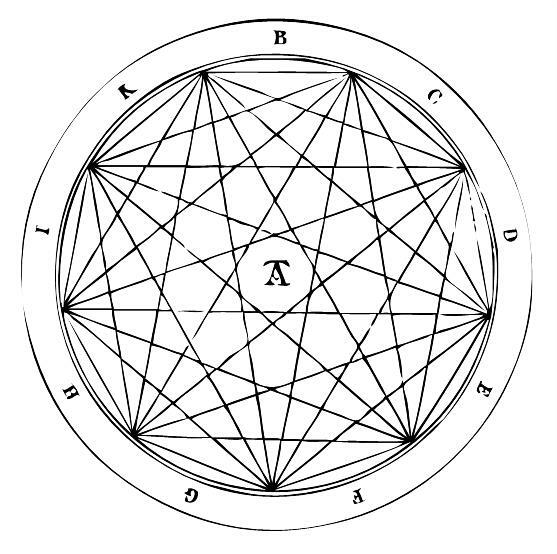 Carl Jung referred to this technique as active imagination, and composed his Red Book based on a series of visions created by this method. Ficino also described methods for counteracting depression (melancholy) and fatigue brought on by excessive study. The cures included counteracting the “influcence of Saturn”, thought to produce melancholy, by placing objects rich with “Solar”, “Jovian” and “Venerial” influence around the house and person. Actions like drinking cheerful young women’s breast milk mixed with honey and rose water would add to the amount of influence from Venus (the young women, the roses) and the Sun (the honey). Sitting outside in a garden, surrounded by daisies and other flowers sacred to the beneficent planets would also work. Surrounding onesself with bright, shiny metal objects or jewels inscribed with the right planetary symbols was also thought to counteract baneful influences. Now, we would say that elderly, depressed scholars would be cheered by getting outside in the sunshine, sitting in the garden with a pretty young woman and some nice gold baubles while drinking a pleasant drink. We would believe this came not from planetary, but rather psychological causes. Bruno would likewise say that the best place to put a beneficial image is inside the memory artist’s palace. If you are depressed, place the image of the sun inwardly. Think about pretty girls and sitting in your garden, even if you are, as Bruno was, in the hands of the Inquisition. If you have a bad horoscope, place a detailed image of that horoscope inwardly and then change it to a better one. If you’re a real magician, who knows, maybe you can cahange your fate. If your image and your changes are convincing enough, maybe the universe will believe them, and conform to them.